Herdsmen in Benue have provided fresh insight into the recent killings and crisis rocking the state. Coordinator of the Benue State chapter of Miyetti Allah Cattle Breeders Association of Nigeria (MACBAN), Alhaji Garius Gololo, revealed that the genesis of the recent killings could be traced to the decision of Governor Samuel Ortom to use the herdsmen during the election and later dumped them. He says Governor Ortom also breached an agreement the state government had with Fulani herdsmen in the state shortly after he assumed office in May, 2015, as part of measures to restore peace to Agatu Local Government Area of the state, which was engulfed in crisis at the time. In a no-holds-barred interview with MURPHY GANAGANA, Gololo accused the Benue State governor of raising the hopes of Fulani herdsmen while soliciting for their votes during his pre-election campaigns, but later dumped them after he rode partly on their support to the Government House, Makurdi. Let’s start from the renewed crisis in Benue State. Since the beginning of this year, there has been sustained attacks on Tiv communities allegedly by Fulani herdsmen. But I understand the Fulani in Benue had campaigned and supported Governor Samuel Ortom to win his election. If this is true, what is the root cause of the problem? (Cuts in)…Before the primaries, was there any time you and Ortom met Buhari at Daura, his hometown? Yes. What happened was that after the presidential elections in 2015, he (Ortom) went to Daura to congratulate Buhari. He was there, Senators Akume and Gemade were there, and I was there. I was already at Daura where they came and met me. By then, there was not even primary election for the governorship in APC, Benue State. When we met the President, he asked if Ortom was the candidate they want in Benue and they said yes, this is the candidate. And since he had been accepted by our party, we had no option than to support him. Later, he succeeded in getting the ticket and I met with him at Summer View Hotel in Makurdi. Even the deputy governor, that was the first time they met after he got the ticket, and I was there with some other groups. When we met, we concluded that we the Fulani with a voting strength of 25, 000 voters cards in Benue State, we agreed that we would support him in the governorship election. I printed 6, 500 campaign T-shirts for him for the election, and 3000 T-shirts for Buhari. Then I made a pronouncement the Fulani living in Benue State are fully in support of Muhammadu Buhari and he, Dr. Samuel Ortom for 2015, because the APC is our party, and we had never been PDP. I personally, I have never been PDP; from ANPP to CPC and then to APC, which is the party the group I am leading wants. During the elections, I used six buses to convey my people for the exercise and the vehicle I was personally using was smashed by PDP boys. I was the only person using Ortom campaign posters at that time in the North Bank district inside the Lafia Garage in Makurdi, because even in Tivland, most people were not supporting him. The Yare have voting strength than Noungu; His Excellency is Noungu and even within the Noungu, he is Nzorov. But the Yarev are in support of Jime and when they gave the APC ticket to Ortom, they were not happy. They were not happy with my support for Ortom and they smashed my vehicle, but he eventually won the election. There was a serious crisis in Benue, at Agatu before he came on board. After he was sworn in, he called me and said Gololo, all I need now is peace in Benue State and how do we bring peace to Agatu? I told him if anything is to be done in Agatu, Nasarawa State governor must be involved; we would be involved, and the Miyetti Allah Cattle Breeders Association in Nasarawa will also be involved, so that we can unite and settle the problem once and for all. So, he called the governor of Nasarawa State and he came and stayed in Benue for almost one week. We went to Agatu twice and we came to a compromise and had an agreement. We signed an agreement with Agatu Chief and the leader of the Fulani in Agatu, Ardo Bodere; I was there and the governor was there. 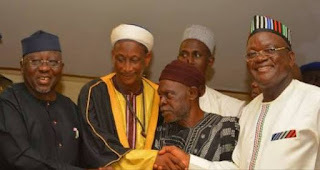 We signed an agreement that there will be peace, that neither the Agatu people nor the Fulani would attack each other. When the Agatu local council eventually had a chairman, he continued with the peace agreement and the Fulani continued grazing peacefully at Agatu until the state government enacted and implemented the anti-open grazing law. Do you mean after the Agatu crisis, the Fulani were still at Agatu till the implementation of the anti-grazing law? Are they still there now? They are not there; they’ve relocated because they said the governor gave a directive that no Fulani should live in Benue State for now. The point is, he said they should do ranches but he didn’t give them a marked area where they could keep their cows. So how can they live? There is no way, and people will tell you the governor said you people have to leave, so Fulani have to leave Benue State. Look at what happened recently. So Fulani who didn’t know anything about anti-grazing law were traveling and when they got to Gboko, they alighted at the garage to board another vehicle to Okene, but they were dropped and killed. When the police were called to take the bodies to a mortuary, the militia went to the mortuary, brought them out and burnt the corpses. No newspaper reported it because Fulani don’t have journalists, they don’t have a radio station; they don’t have anything. The issue would have escalated if it was the other way round, but even the human rights people and civil society groups, didn’t make any comment. There would have been serious propaganda, but now because it is Fulani, nobody is talking. In Nigeria today, if a mosquito bites somebody, they will say its herdsmen; if a vehicle develops fault on the road, they say its herdsmen. We are praying to the Federal Government to investigate the issues properly. We herdsmen are not terrorists. We are citizens of this country with voting rights and voters’ cards. I see no reason why we should be denied our rights especially in Benue State, where we mobilized and massively voted for Governor Ortom. He promised us three special adviser positions, which he did. He appointed Wakili Abdulahi and Manga Husseini, as special advisers on herdsmen and farmers. He also appointed me special adviser, but I gave him two conditions. I accepted the appointment but told him as a leader of the Fulani, I expect him to take good advice from me; but where it’s not taken, I will tender my resignation. After a short while, I resigned my appointment. You see, when the governor came on board, even if he was moving in a convoy, when he sees me, he will stop and call me because he knew I worked for his election. But my surprise now is; why does he want Fulani to go? Why do we have crisis every day? Since you said your people supported and worked for his emergence as governor, at what point did you part ways? Were there promises not fulfilled? The cause is that the governor has some wrong advisers, especially the special adviser on security matters. It is safe to say that the governor betrayed you and your people? We supported and massively voted for him after we had sent our letter to his campaign office. Later, he changed gear and didn’t take us along. And we found ourselves being evicted from the state. My office was set ablaze and I became target of attacks, so I had to leave. So you feel used and dumped by the governor? Yes, especially myself. I was used and dumped. We were not supposed to be treated the way he did. We are citizens; we are Nigerians and we voted for him. So, he was supposed to give us our rights. We are not against ranching, but where are the ranches? That is the point. There is no land provided for us; no water, no school, no veterinary, so how do you want them to live with their cows? And then, when they moved their cows to a place called Kadarko in Nasarawa State, the militia will go there, collect and kill the cows. You earlier mentioned a compromise position over the Agatu crisis. Was there any pact between your people and Governor Ortom, which he has breached? Yes, we had an agreement and he breached it. The agreement we had was that after we had succeeded in bringing peace to Agatu, we agreed that each local government area in Benue State will have an Ardo (Fulani chief), and each ward will have a committee comprising two Fulani men and two community leaders of the host community, whether Tiv, Idoma or Igede, so that when there is mischief, they will go there. But to my surprise, when you hear of farmers/herdsmen clash, where is the case reported, which police station? If they have any evidence, they should present it, and I will defend it. There is none. What we have are cases of militiamen, criminals versus Fulani herdsmen. Militiamen trained to collect Fulani cows and sell them. And Fulani will not allow you to carry his cow. Are you referring to the livestock guards in Benue? Yes. The livestock guards are criminals. Are you saying that herdsmen do not graze on peoples’ farms, thereby causing clashes? They encroach on farmlands but they settle with the owners without going to the police station. They settle instantly without going to a police station or court. There is no case pending against herdsmen in Benue police station for encroachment on farmland, none. There was a case I handled at Gwer East, where two Fulani men were moving and had squabbles with two Tiv farmers. When they took them to the police station, they took the two Tiv to the hospital, while the Fulani were locked up with their wound. They were locked up at the state police headquarters. When I got there, I asked the police, if these people fought, why not take all the parties to the hospital? Is it because they are Fulani, are they not citizens? The fact is, these people were born and bred in Benue State; and for them to leave Benue State, where are they relocating to? I heard comments made by a former president, Chief Olusegun Obasanjo, saying they should give herdsmen Sambisa forest, while he has almost 500 cows up till now at Mambila Plateau. He fenced them there, he is producing there, and he doesn’t make any comment on them. When the youths in that area attacked Fulani who ranch their cattle there, they didn’t touch Obasanjo’s cows because they know there would be problem if they do so. The youths went there, killed the cows, killed Fulani children, cleared everywhere, but they didn’t go to Obansanjo’s place. As a former president and commander-in-chief, I didn’t expect him to make such a comment that herdsmen should go to Sambisa, where they would collect their cows again. Obasanjo is against Fulani and we won’t take it. Why doesn’t he carry his cows to Sambisa forest? Obasanjo should apologize to us. What would you do if he doesn’t apologize? We won’t touch him and we won’t kill his cows because a cow is cherished as property, because it is something you leave behind for your children when you die. It’s a disgrace if a Fulani man dies and doesn’t leave any cow for his children to inherit. Is it true that rather than God, the Fulani worship their cow? Ah, ah, why won’t you worship what you are gaining from? They worship God, but they depend on their cow. If you want to marry, it’s from that cow; if you are going to the hospital, it’s from that cow, if you want to eat, it’s from that cow. So, for people to say Fulani worship cows, its clear; they must, because it’s from it they eke a living. Fulani does not need road, they don’t need electricity, and they don’t need a big house. They live with the cow. But now in Nigeria, not only Benue, people are against herdsmen. Why is it so? All over the country, from East to West; from Zamfara in the North to South, we have problem of herdsmen. Is it that all others are wrong and only the herdsmen are right? In a place like Zamfara, it’s not herdsmen; it is criminals versus criminals. Recently, I was in Zamfara when they fought. There are no more herdsmen in Zamfara because they all ran away with the cattle as a result of incessant attacks after the return of a notorious criminal and members of his gang who terrorized them. But whenever anything happens, they say it’s Fulani. The point is that they are against the Federal Government, not the ordinary Fulani. Because the president is a Fulani and most Nigerians are against him, anything that happens, they say it’s Fulani. Why do you say people are against Mr. President? They are trying to paint anything Fulani bad; it is logic, and it is a lie. It is four plus four. Baba (Buhari) is going; there is no one that will stop him, unless God. The man is going; he is already president in 2019. But there is a lot of discontent in the country; people are hungry, people are dying. Do you want him to come back because you are a Fulani man? Not because I’m a Fulani man, take Fulani aside, but because I ‘m in APC. My point is that before he became president, there were fuel crises; before he came in, there was Boko Haram, before he came in, there were herdsmen/farmers clashes even in Benue and everywhere. Yes, it wasn’t pronounced because at that time the president wasn’t a Fulani man. That was why there was no propaganda in the newspapers. And then this perennial fuel scarcity, if you watch it very well, since the convention of the PDP on December 9, till date, we’ve continued having it. So, it’s sabotage. People say Fulani herdsmen are emboldened to confront state governments and perpetrate other atrocities because Buhari is the president, and also the grand patron of the Miyetti Allah even before he became president. Is it true? No, it is not true. I’ve heard so many people saying it. Our patrons in Miyetti Allah are the Sultan of Sokoto, the Emir of Kano; Emir of Zazzau, Emirs of Ilorin, Katsina, and then the Lamido Adamawa. Buhari is a patron of Miyetti Allah; he is not our member. A lot of people feel that the Fulani are unforgiving and brutal. Is it true? If you go that way, like the people that were recently burnt in Gboko; they collected their cows and burnt them. The people that perpetrated the act, are they Fulani? Are they Muslims? No. Those ones are completely pagans. It is only God that has right to burn somebody, to send somebody to hell fire. But they burnt those Fulani in Gboko; they sent them to hell fire while they haven’t reached. The Fulani have a religion and when you go to any mosque on Friday, you see them praying. Why is it easy for the Fulani to kill? It is not easy for any human being to kill. Nobody wants to kill a fellow human being. But it is not even the Fulani that are involved in some of the killings they are accusing them. If what happened recently in Gboko was the other way round, the whole world would have heard it. I’m yet to see the human rights people; nobody is talking about it because Fulani do not have anybody to speak for them. What is the difference between the Miyetti Allah Cattle Breeders Association of Nigeria and Miyetti Allah Kautal Hore? The president of Kautal Hore is Alhaji Bello Bodejo, and the difference is that one is Kautal Hore, while the other is Miyetti Allah Cattle Breeders Association of Nigeria. Miyetti Allah Cattle Breeders was formed before Kautal Hore, because the Miyetti Allah Cattle Breeders was formed during the Sarduana days; it is more than 60 years. But the Miyetti Allah Kautal Hore had been meeting in Abuja and making statements, allegedly instigating violence; and in the case of Benue, declaring that they will resist implementation of the anti-open grazing law. Why are they taking that posture? You see, when we had a meeting with the Benue State governor a week before the commencement of the anti-open grazing law, the president of the umbrella socio-cultural organization of the Tiv, the Mzough U Tiv, said whether the governor was ready or not, implementation of the law should commence because they were ready to defend themselves. This was when we requested for an extension of time because the period given was too short and certain requirements were not put in place. So, the implementation won’t work. He made the statement in the presence of the governor, and as a leader, he was not supposed to make such a statement. I was there; the President and Secretary General of Miyetti Allah Cattle Breeders Association were there. He said they were ready to defend themselves and His Excellency did not say anything. But when others made a statement, it became an issue. Why? Look, I believe in two things; life and death. One, you kill, and he who kills by sword will die by sword. And if you are a good leader, you will not want crisis. Personally, I don’t like crisis, and if there were no crises, I would have been in Benue relaxing wherever I wanted. But now, I can’t go there, I can’t go beyond Kadarko. So, is it a good thing? What are some other issues that had been bordering you in Benue before the recent crisis? You see, there are three groups in Benue State. There is Soldier Patari, they are Tivs and they are fighting; it’s a group and they have guns. Then, you have the livestock guards; they have their own guns, even AK47. You have another one again, the Ghana group. That Ghana group, Ghana was granted amnesty by the governor during which he surrendered some guns that were burnt. The governor later gave him an appointment as his special adviser. Later, he had misunderstanding with the governor. There was a day they went and burnt Ukum Market, at Zaki Ibiam, the same Ghana boys; they burnt the market and killed many people. When I saw the newspapers the next day, it was reported that herdsmen went and attacked the market. Then I wrote a letter to His Excellency, I told him herdsmen had nothing to do with that market; that they should investigate properly. Two days later, they went and attacked a prison yard, opened prison yard at Jato Aka, and said it was Fulani again. I said ah, for the past 20 years, Fulani have never been at Jato Aka; how did they penetrate to get there? You see, since the crisis of 2012, no Fulani has taken cattle and entered Katsina-Ala. Any cow you see within that area must be those cattle dealers; it’s not Fulani herdsmen that will take their cattle there. But if there is any attack, they say its Fulani herdsmen. There are three groups fighting themselves there; Ghana is there, Soldier Patari is there; livestock guards are there, vigilante too are there. There was a time, precisely on May 13, 2017, when those livestock guards prepared, well armed and went for Ghana at his village around Kastina-Ala. They attacked and continued pushing on Ghana before they returned. When they came back, Ghana came back and attacked their location at Logo. So you can see the problem we are having in Benue; they are having misunderstanding among themselves. Why are they attacking each other, what is the problem? They have misunderstanding; they don’t agree among themselves. There was a time Ghana publicly accused Col. Jando (retd), the special adviser to His Excellency on security matters; he accused him of giving him guns, that Jando was the one giving him guns to attack people. At that time, if the governor had wanted to get to the root of the matter, Jando should have been investigated; he should have invited Ghana and Jando, who were very close friends and resolve the issue once and for all, because Ghana had been declared wanted at that time and he had said this was the person giving me guns. Look at what we are facing now in Benue; from the New Year eve, throughout the festive period till now, it’s attacks. What we are praying for in Benue State is that they should go and sit on a round table to talk. After they do that, then, they should call us, the Fulani; we are ready to go into dialogue. Imagine what happened on January 14. Some livestock guards crossed Benue to Kanke in Taraba State to arrest cows. They went fully armed, attacked some Fulani and collected their cows, but they were arrested by soldiers at 93 Battalion in Takum Local Government. Nine of them with AK47 were arrested and taken to the barracks. Where did they get the guns? Now, we have about 36 Fulani arrested and paraded in Benue on suspicion of committing crime. None among them was caught with a knife, talk less of a gun. But they are there in prison in Benue. Any Fulani arrested in Benue and taken to court will go to prison because there is hatred against them. But there must be an offence; they might have breached the anti-open grazing law? Before the anti-grazing law, we have people in the prison and after commencing the law, if they see a Fulani on bike, even in Nasarawa State; they chase them there and arrest them. There is no anti-grazing law in Nasarawa, but they follow them there after leaving Benue to arrest them. The livestock guards go there to arrest them and take them back to Benue. They arrested them at Rukubi, Nasarawa State; they arrested some at Keana and Tunga, which is also Nasarawa State. Let the Federal Government intervene in this matter so that we can settle it once and for all. First, the Fulani should be treated as citizens. They are citizens born and bred in Benue State; they don’t have anywhere to go. There was an incident that happened at Obi Local Government Area of Benue State in May, 2016, where they killed four Fulani and severed their heads. When they did that, we took the case to His Excellency. He called me and other Fulani for a meeting at the Ochi’ Idoma palace at Otukpo and pleaded that he doesn’t want a reprisal attack. I assured him that there wouldn’t be; I said this thing has happened, and you are just coming into office. If this issue causes another problem again, we shall be back to square one. All we need is that they should give us the heads of those killed so that we can bury them. He pleaded with them before they eventually released the heads for us to bury. Then, on May 17, 2016, they went and killed 1, 500 cows and went away with a Fulani man. Till date, we’ve neither seen the cows nor the Fulani man. The governor set up a committee headed by Col. Jando with a view to compensating the Fulani whose cows were killed; till date, nothing has been done about it. Two of the Fulani whose cows were killed went mad and are still at a psychiatric centre in Kogi State presently. The two Fulani-Musa and Umaru Isa, they are completely mad because of trauma. One of them had two wives who both left him, and the other had nothing to do; not even food to eat. The two of them ran mad and our organization had to provide money to cater for their treatment at the psychiatric hospital. They are still there. So, you can see the kind of problems the Fulani face in Benue over the years. In the circumstances, what are your conditions for peace? We have two options as conditions for peace. First, is that the Fulani have not been given a place to graze for now. The Benue state government should suspend the anti-open grazing law because it does not give room for peace; no provision was made for the Fulani. Let us go back and sign a fresh agreement to the effect that if Fulani encroach on a farmland, they should pay, failing which they should be prosecuted; and if a Tiv man kills a Fulani cow, he should also pay for it. The agreement we had earlier was for Agatu; we need another agreement now for Tiv land, where the problem is mainly in two local government areas, Guma and Logo. We want a reversal to our earlier agreement at Agatu, before the enactment of the anti-open grazing law. And this is not for Benue State alone. I am saying that no state should enact or implement anti-open grazing law without making proper provision for the Fulani; if provisions are made, they can go ahead. For now, that is the condition and there will be no end in sight to the problem unless they make provision for the Fulani because they are citizens and have nowhere to go. It appears they want to deny Fulani their legal rights; their business, and from where they were born and bred; it’s not possible. It is alleged that most of the Fulani herdsmen who launch attacks on communities in Benue and other states are hired mercenaries from Niger, Mali and other African countries. How do you react to this? It is not true. No Fulani has been hired. There is nowhere a Fulani man will go and hire somebody. How can you hire somebody? If they say they are coming from Niger Republic and Mali, what is the work of the Nigeria Immigration Service? It is their duty to check them thoroughly and if they get any of them with a gun, arrest the person. Are you saying the security people are not doing their work? If they say people are coming from Mali, then automatically there are lapses. But where I live, the Fulani I know are the ones we know; none came from anywhere. I am urging the federal and state governments to arrest any Fulani suspected to have come into the country from elsewhere; it is their duty to arrest them, not my duty. From where do the herdsmen acquire their guns? I don’t give Fulani gun and I don’t give them directive to carry gun; what we know as a pure Fulani man is your stick, machete and you knife. If the cow wants to die, you slaughter it; the stick is to control your cows.